Matthew 2:1-2 After Jesus was born in Bethlehem in Judea, during the time of King Herod, Magi from the east came to Jerusalem 2 and asked, “Where is the one who has been born king of the Jews? 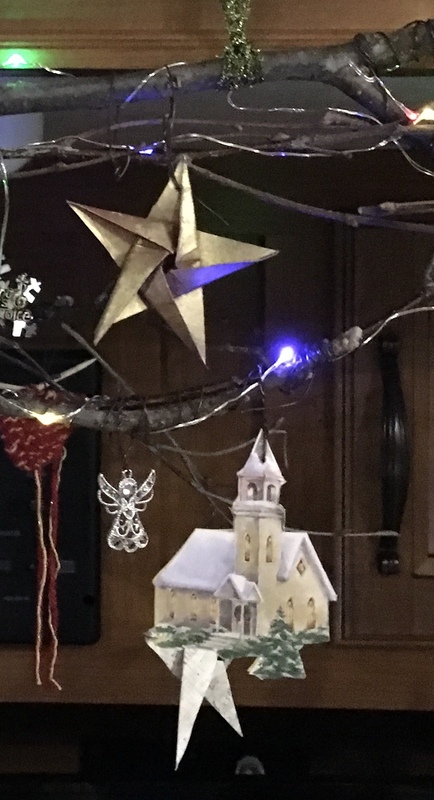 We saw his star when it rose and have come to worship him.”…11 On coming to the house, they saw the child with his mother Mary, and they bowed down and worshiped him. Then they opened their treasures and presented him with gifts of gold, frankincense and myrrh. The Magi were men who still had the desire for God in their hearts. Desire was why they watched for a sign. When they recognized the star they prepared their gifts and took that first step of a long journey expecting God would to lead them to a king. People really do still have the desire for God in their hearts. God has pulled out all the stops for us during this season with many different and personal signs to guide us to “the one who has been born king,” the Big Event. This is our modern-day version of the journey but it’s still all about desiring God, watching for the signs, preparing our gifts of worship and then taking that first step expecting God will lead us to the King. These are the perfect gifts of worship if you’re short on gold, frankincense and myrrh. • Give Jesus your desire. • Offer this new born priest your long journey. • Let him be King of all your expectations. NIV Romans 4 18-22…a homemade amplified study using the dictionary. It’s just another way to establish our confidence in Scripture and enhance our own  complete trust or confidence in it. Unbelief: lack of religious belief; an absence of faith. Righteousness: being morally right or justifiable. 19 Without weakening in his  complete trust or confidence, he faced the fact that his body was as good as dead—since he was about a hundred years old—and that Sarah’s womb was also dead. 20 Yet he did not waver through  lack of religious belief; an absence of  complete trust or confidence regarding the promise of God, but was strengthened in his  complete trust or confidence and gave glory to God, 21 being fully persuaded that God had power to do what he had promised. 22 This is why “it was credited to him as  being morally right or justifiable.